While growing up, most of us played the game of leapfrog. It’s a simple game where players leap over each other’s stooped backs as the line of participants move forward from back to front. 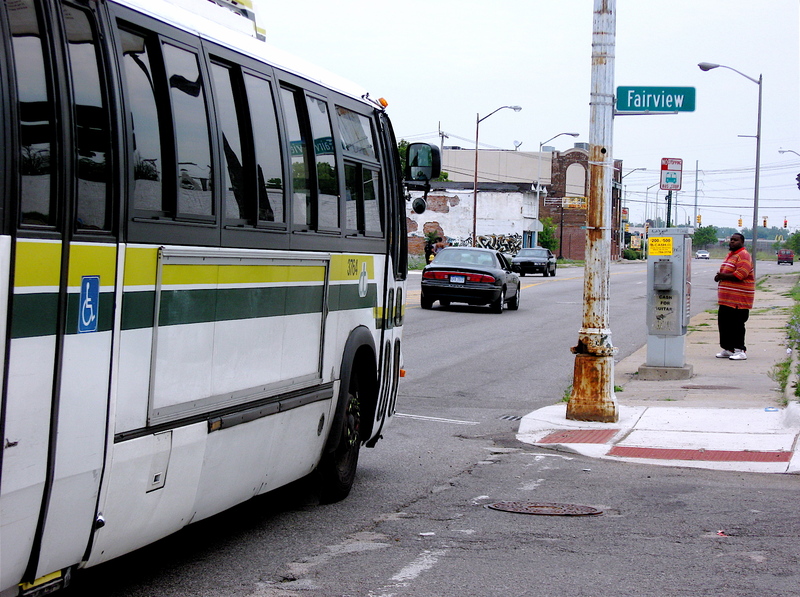 I think of this game whenever I’m bicycling along the major streets of Detroit sharing curb lanes with Detroit and suburban (SMART) buses that service the city. It goes something like this: I’ll be riding along the in the right hand lane (with traffic of course) and one of the big buses zips on by, in some cases spewing heavy diesel fumes, a pleasant smell on a hot sticky day. Just as the bus passes, it slows down, drifts into my lane just ahead of me as it prepares to stop to pick up riders. Once it goes by, I swing out to the left from behind, pass it and ease my way back into the right lane. Shortly after, the bus passes me once again, drifts into the right lane to stop. Once again, I swing out from behind, pass it and continue on my way. This game of leapfrog can go on for miles. 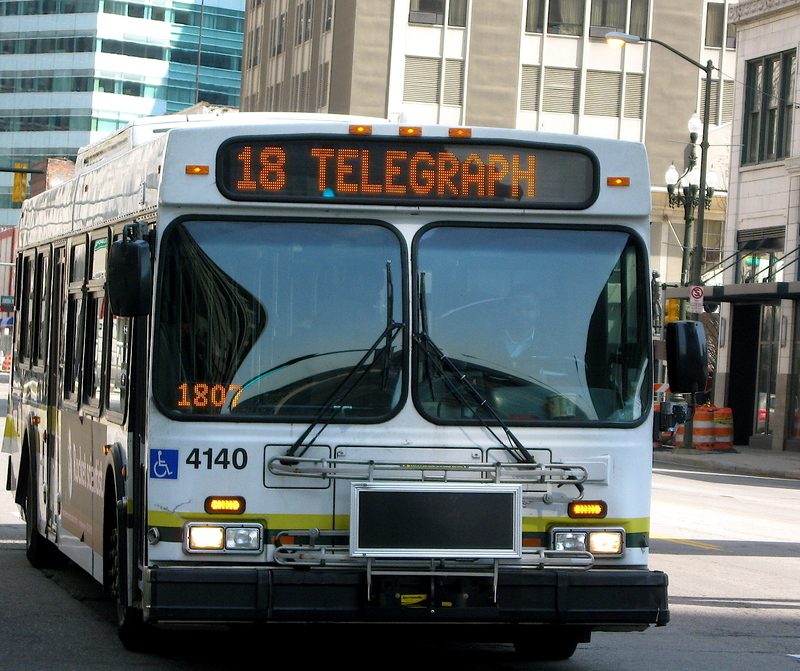 In some cases, buses seem to creep up while bicycling. Trailing some buses can be a nasty experience. There are times when I think some bus drivers are purposely forcing me into the curbs or at least very close to them. They’ll roll up next to me on the left and slowly ease their way into the space I’m riding, trapping me between the curb and the side of the 40’, 30,000 lb. bus, which can be quite intimidating. Shortly after the second time dodging the bus and curb, the driver once again slowed down and drifted over, but this time gave me space to pass on the right as the buses slowed to a stop. However, just I approached the front of the bus, the front door swung open just missing me. As I rode by the open door, I glanced quickly at the driver and I saw a little smirky face looking at me. I wish I had gotten that bus number. A bus can seem like a wall right next to you. I don’t mind playing a game of leapfrog with a bus, but I don’t like it when drivers purposely force me into dangerous situations for no particular reason. 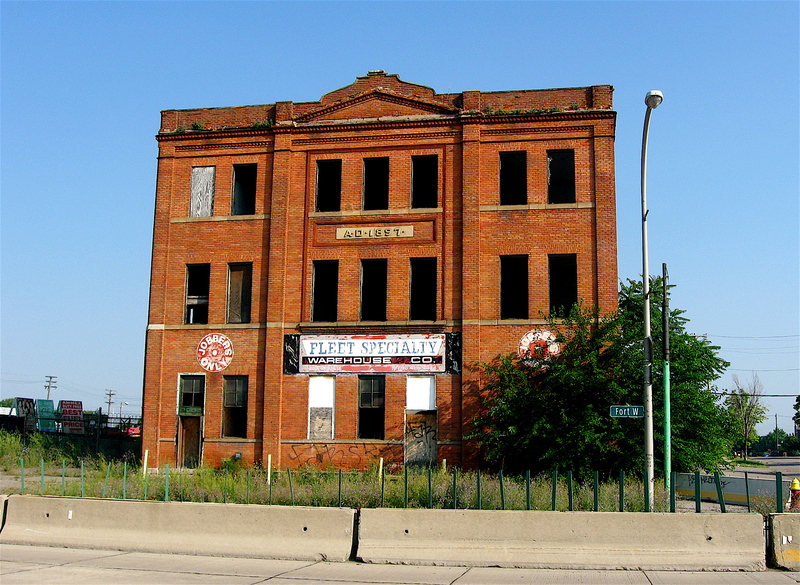 Detroit’s Fort Street runs about 7 miles west from downtown to the city of Melvindale, just across the Rouge River. It’s a wide, multi-lane street that was once lined with small, active manufacturing facilities, mom and pop retail stores and other businesses that have served to community over the years. 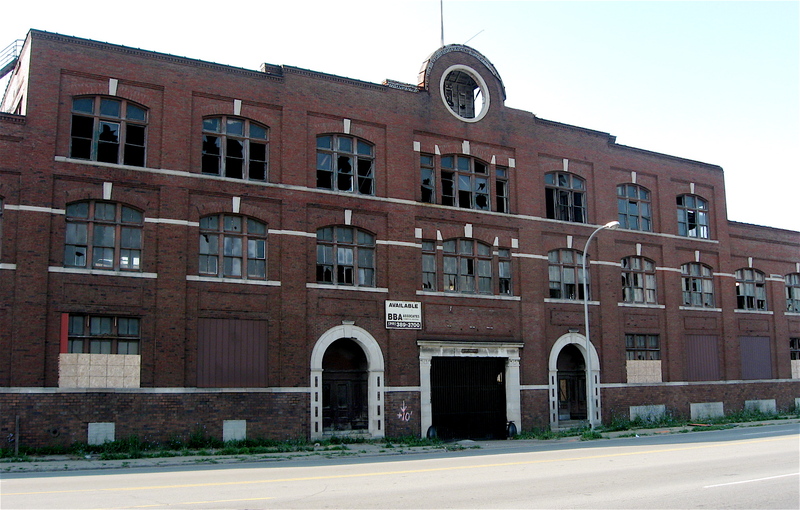 But like many major streets in Detroit, most of the places have closed, moved or been abandoned and boarded. On my ride west on Fort Street the other morning, I began to notice the beautiful old red brick buildings and the intricate brickwork incorporated into the overall design. I also noticed dates etched into cornerstones and keystones above doorways. 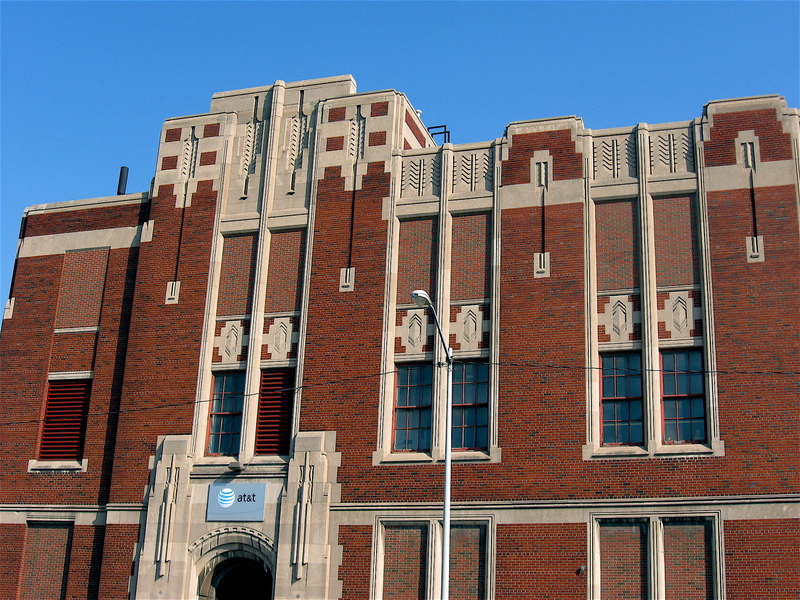 Check out the brick work along the top of this beauty. Looking at the dates found on the cornerstones of the buildings, I could follow the development of Fort Street from downtown heading west, out to the city limits. 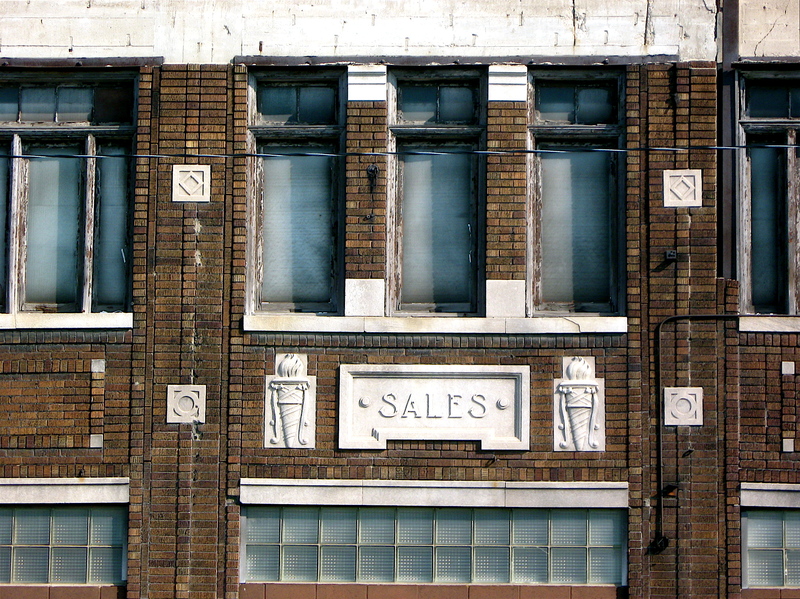 The buildings close to downtown are dated in the late 1800’s and the further west I rode, the etched-in dates began to climb through the 1930’s. The date range of the buildings I looked at represented a variety of architectural eras and styles. They included the Classical style featuring Romanesque Pillars and multi-level Victorian Era structures with intricate brickwork. The simple, clean lines found in the Arts and Crafts period are represented as is the eclectic design elements of the Art Deco Movement. 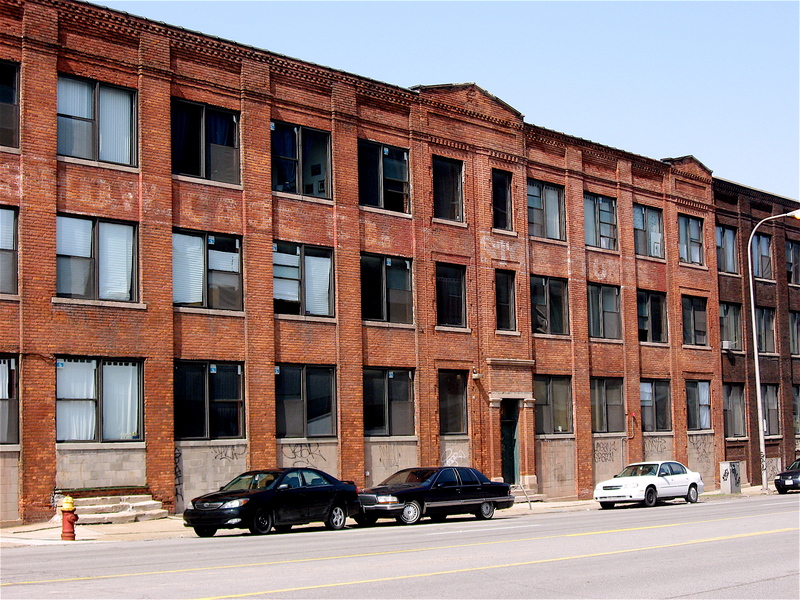 This vintage building has been converted to loft spaces. Traveling this street is a living history lesson of industrial and commercial architecture built across this city, in phases, during its manufacturing heyday. Cycling along, I could imagine how it must have been back then with streets bustling with people, cars everywhere, beautiful new manufacturing plants, built of red brick, humming around the clock with thousands of employees supporting the many shops that lined the street. 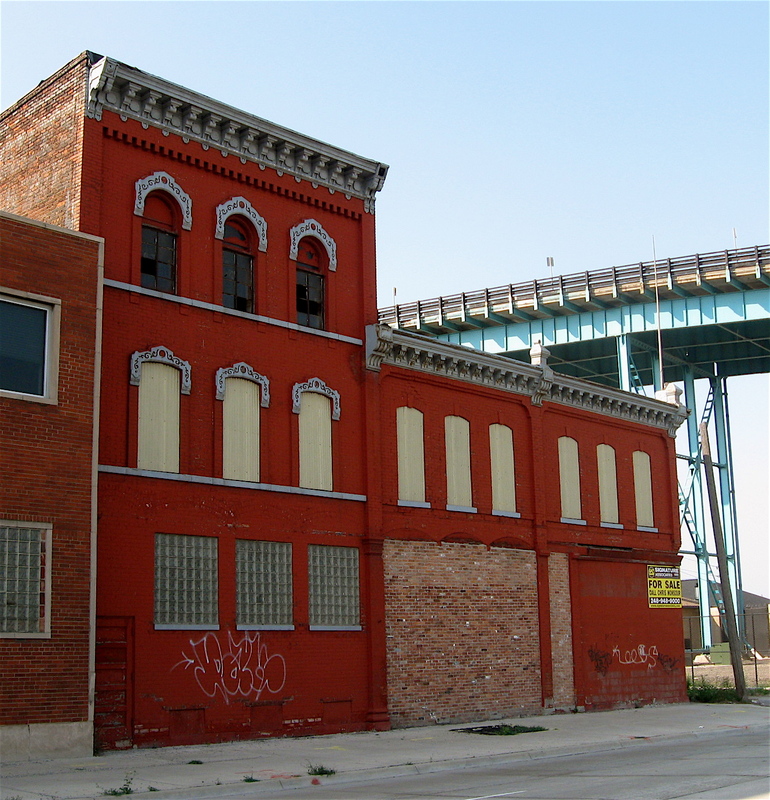 Unfortunately, the only activity I saw on my ride the other day was limited to truck traffic near and under the Ambassador Bridge and at the Detroit Produce Terminal, a large warehouse facility where many trucks were backed in being loaded and unloaded. Not many cars passed me while riding on Fort St. There was virtually no foot traffic to speak of, and the only places open were a couple of party stores. What a shame to lose so much history through abandonment and deterioration. Riding throughout the city of Detroit I see lots of folks walking in the streets, on sidewalks, waiting for bus stops or simply hanging out on street corners. Many times they’ll shout out some pretty interesting things at me. I’ve been writing down many of them, and on occasion I’ll publish a few. Here is the first round, take a read! While bicycling west on Michigan Avenue near Livernois, I caught a stoplight. Sitting on the curb to my right and wobbling ever so slightly was a street wise looking young woman that appeared to be heavily drugged. She looked at me through bloodshot, half-opened eyes and said in a slurry voice as she tried to get up, “Hi honey, take me for a ride.” I shook my head no, smiled and pedaled away. 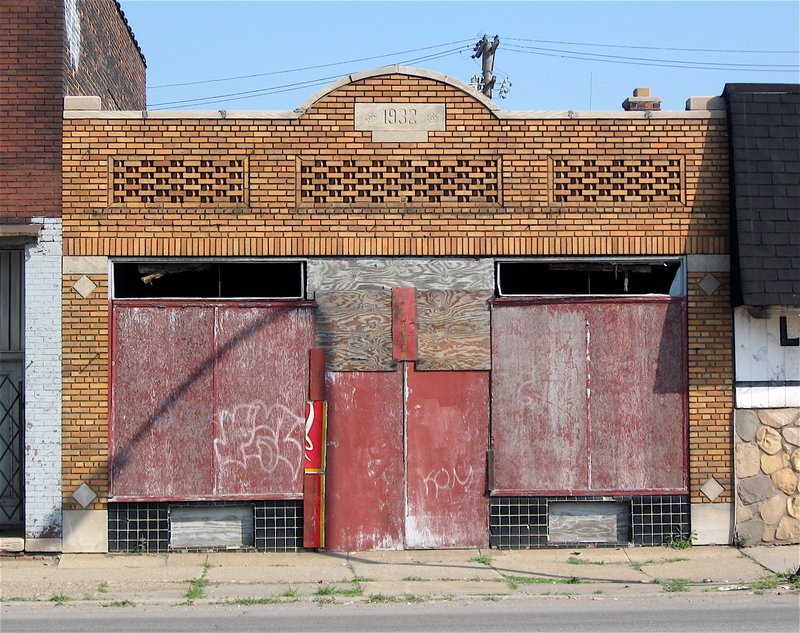 On a late afternoon, I was pedaling along Mack Avenue into a very strong headwind. An older man was walking toward me on the sidewalk, and when we passed he yelled out, “Hey man, you need a sail on that thing.” He didn’t break stride and kept right on walking as if I wasn’t even there. Cruising along Mt. Elliot I passed an overgrown park where a couple of men were sitting on a bench drinking. One of them slowly stood up, pointed his finger at me and started yelling, “That guy stole my bike, that guy stole my bike, that’s my bike.” His friend reached up, grabbed him by the back of his pants and pulled him back down. I was riding home with a friend one Friday evening from a Critical Mass Bike Ride on Forest Street near Gratiot Avenue. The light changed to amber and I stopped. My riding partner cruised through the light to the other side. When I got the green, I crossed Gratiot and a car slowly rolled up next to me and the driver yelled out, “You’re lucky I wasn’t drunk,” and took off. Not sure what he meant by that. I looked at him and returned the line. “Is it a deal?” he asked. “I’ll get back with ya on that,” he said and rolled up the window and drove away. 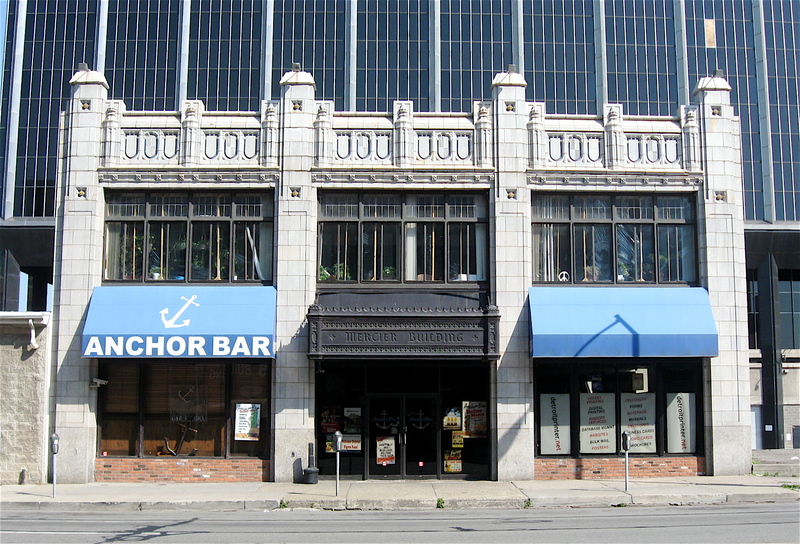 Pedaling past Foran’s Pub on Woodward early this spring and happened to be wearing shorts. There were a group of young women at an outdoor table and one glanced at me, looked down at my legs and yelled out, “nice legs!” I laughed, said thanks and kept on my way. I was cycling west on Freud Street near Fairview Street when I heard the distinct buzz of a motor scooter coming up from the rear. I glanced over my left shoulder just as it approached and noticed the scooter was painted a nice, bright powder blue. As it passed by I saw that the rider was wearing a suit in the same color! I waved as he passed, and he said in a booming voice, “All right now,” and zoomed away. 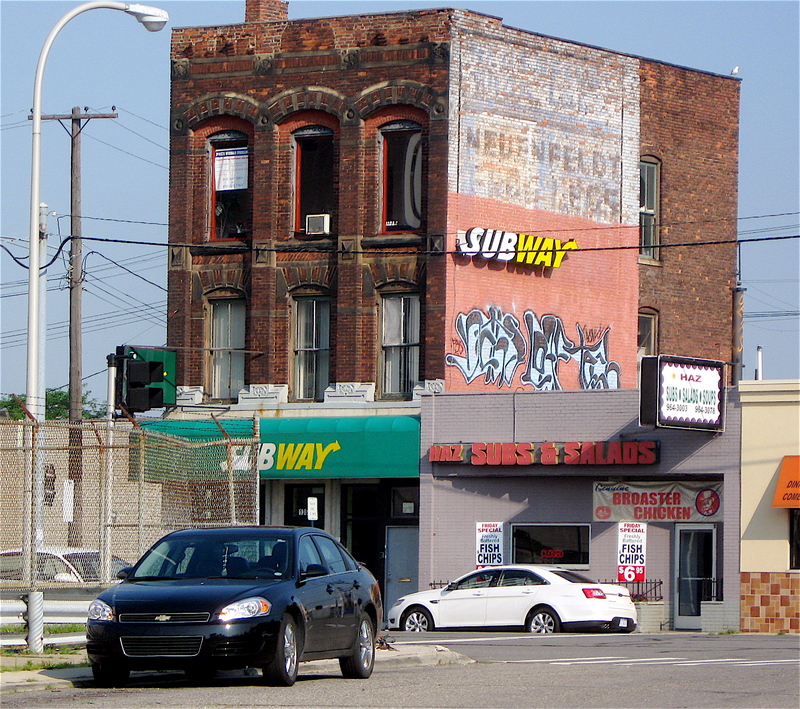 As I’ve written in the past, Detroit’s Creekside neighborhood, on Detroit’s far east side, is one of my favorites. There are beautiful Craftsman style homes facing brick paved streets and canals that wind their way through the neighborhood. There’s also a series of peaceful parks lining the Detroit River where fishermen and others go to relax. Each year the community closes East Jefferson Avenue near Alter Roar and the Jefferson East Business Association hosts a summer street festival called Jazzin’ on Jefferson. The two-day event, held this past weekend, features arts and crafts, a children’s area and a variety of free music featuring some of Detroit’s finest Blues and Jazz musicians. Despite the 97-degree temperature and steamy, high humidity this past Saturday, I jumped on my bike and took a leisurely ride over to check out the evening’s headliner, bluesman Johnnie Bassett. Listening to the band while sharing a beer with some friends, I couldn’t help notice the high dark clouds forming in the west. Nothing threatening mind you, but it certainly looked as if rain was on the way. While I was enjoying to the music, not paying much attention to the sky behind me, suddenly a strong gust of wind blew up Jefferson straight out of the west. Looking in that westerly direction as the intensity of the wind climbed, I could literally see a wall of water coming our way. It was a remarkable grayish blue sight heading straight for us. 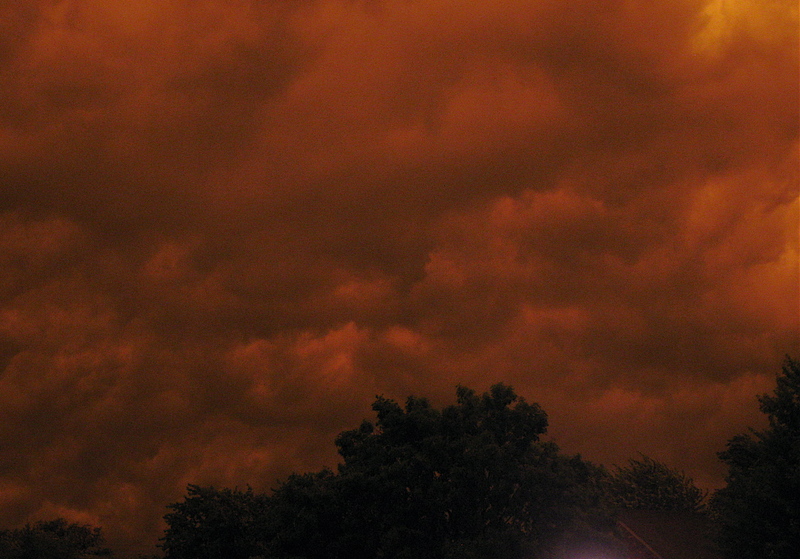 It reminded me of something right of The Wizard of Oz! Just before the curtain of rain hit, the many festival tents started flapping as if they were about to be ripped apart or blown away. The band immediately stopped playing and the musicians hustled off the stage to safety. The hundreds of people in attendance ran for cover just as the force of the hard-driving rain hit the festival site. 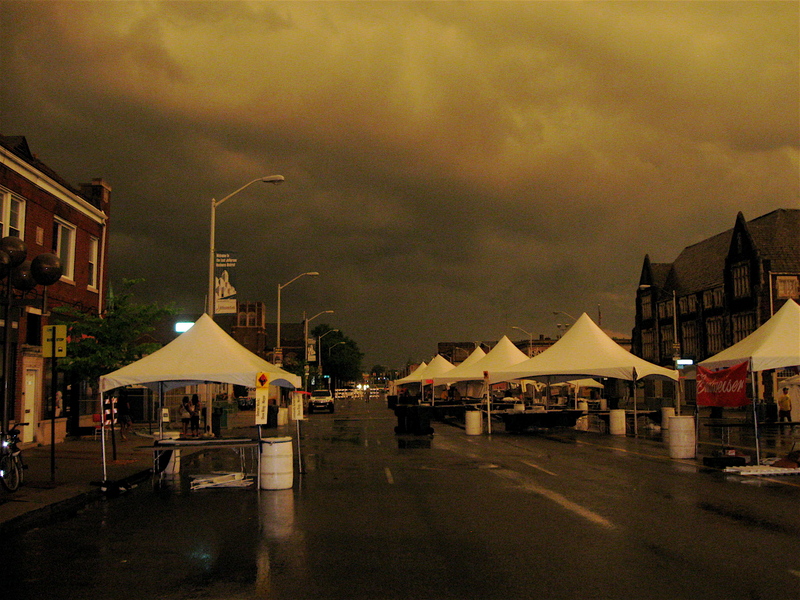 Storm clouds rolled through the festival site. 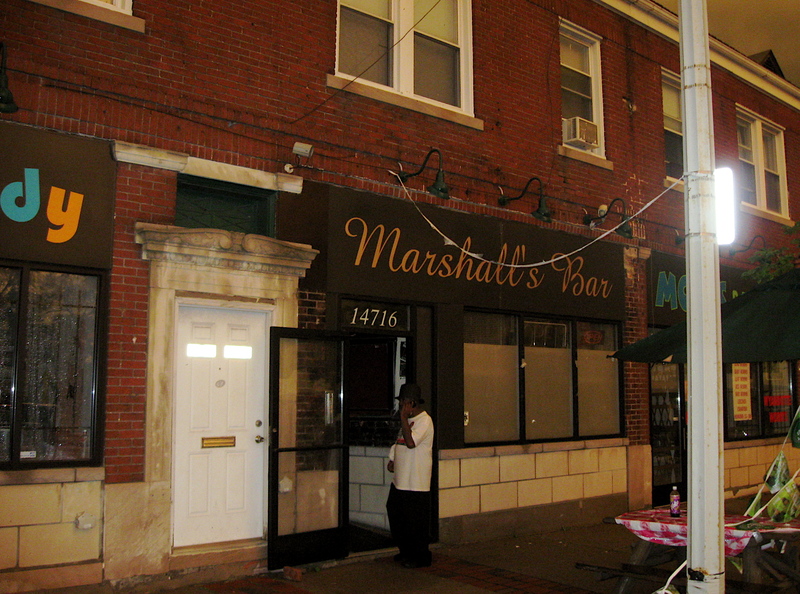 I ended up with others who swarmed into Marshall’s Bar, a neighborhood place I’ve passed hundreds of times but never have been in. It’s a small, narrow tavern with a friendly atmosphere. 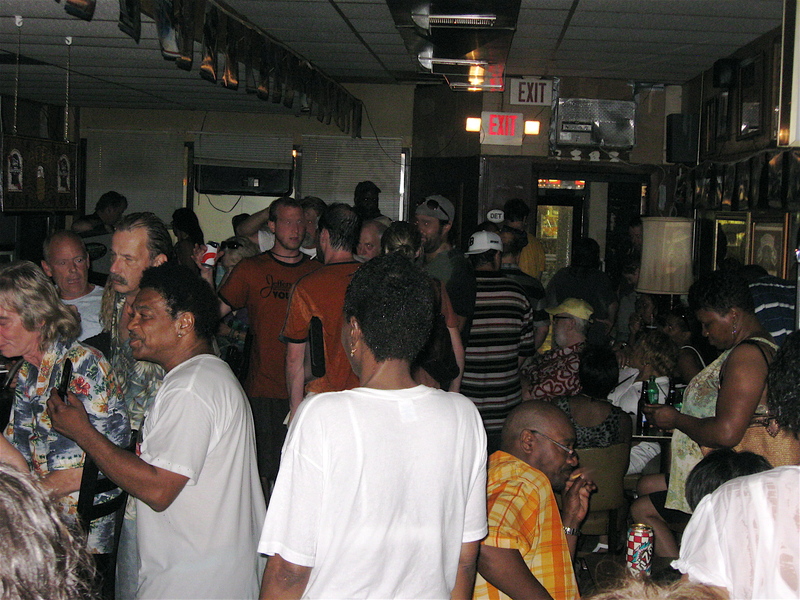 As expected, the place was jammed with what appeared to be regulars sitting at the bar and festival goers ducking the nasty weather that was blowing through the neighborhood. Shortly after, the lights flickered and went out, but it didn’t seem to matter, people kept right on drinking and talking as if it was a normal thing. The crowded place had a small upright piano near the back, and a patron pulled up a chair and played a few tunes to the delight of everyone back there. 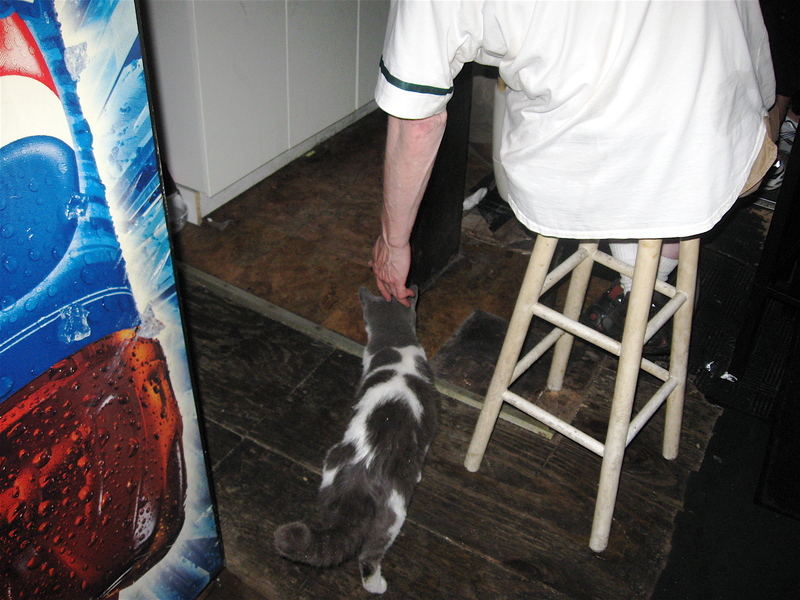 Even a cat wandered in through the open back door meowing madly and stole a few pats on the head. 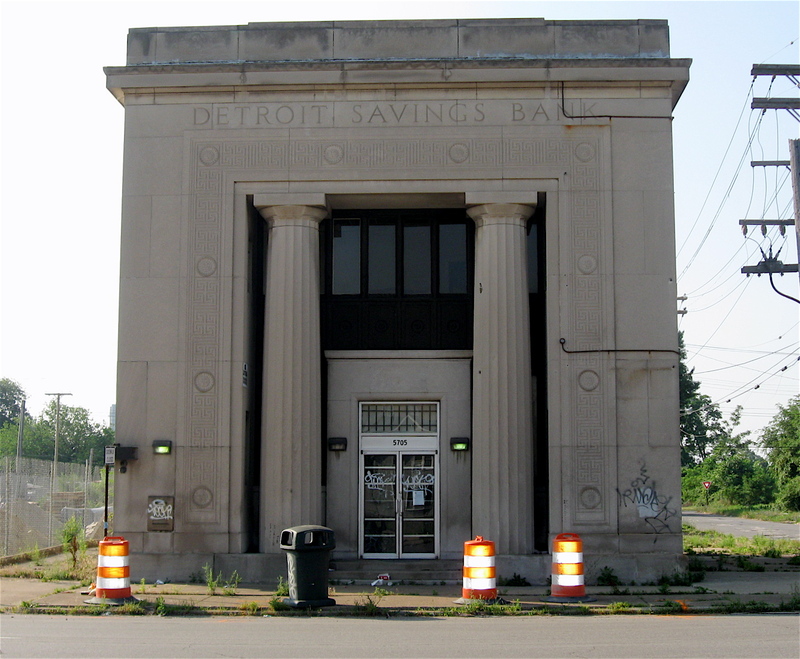 It was as if the festival moved inside to this small welcoming waterhole on Detroit’s east side. It was that kind of place. The lively crowd at Marshall's. 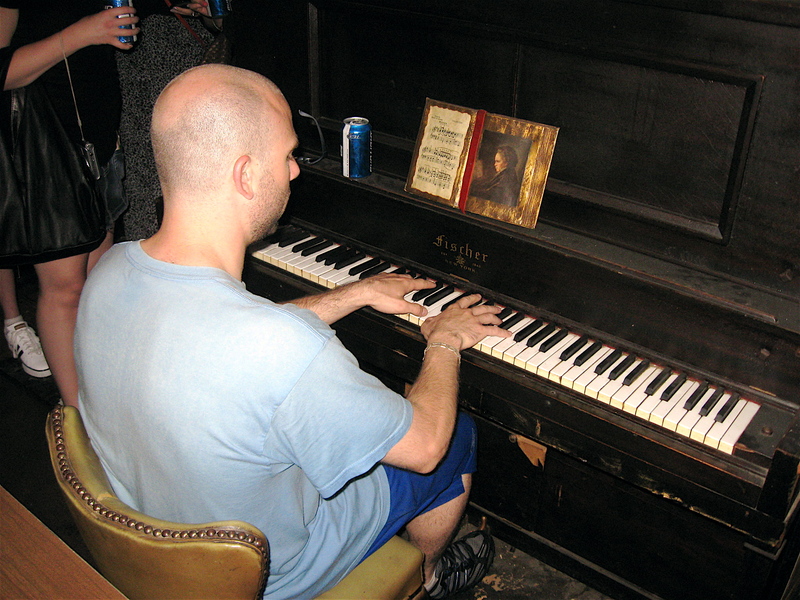 A piano player entertained the patrons. A very vocal cat wandered in during the storm. 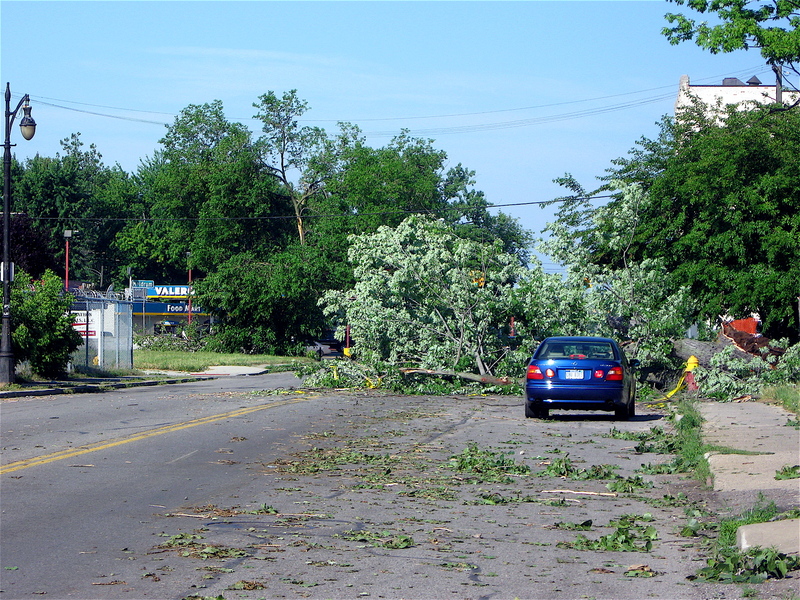 I saw lots of downed trees throughout the east side on Sunday.